Renovate or building a bathroom without the hassle? Here we have listed a few things that you need to know before you decide to start bathroom renovations. Are you considering a bathroom renovation in your home? Before you get stuck into redoing your bathroom, there are a few important steps you can take now to ensure that it’s all smooth sailing ahead. Whether you’re looking at designer bathroom renovations or something better suited to a smaller budget, we’ve listed some tips to help you renovate your bathroom without the hassle. A bathroom renovation is no small task. Detailed research, planning and coordination is required to identify any potential issues ahead of time and achieve a successful end result. Drawing up plans before beginning any renovation work allows you to experiment with different layouts, until you find the one that suits you best. The professional designers at Jude’s Bathrooms can sketch detailed plans for bathrooms of every budget, taking into account the desires of the customer and considering all possibilities for the allocated space. Narrow down your wishlist for your new bathroom, thinking about what you like and dislike about your current bathroom as a starting point. Listing what you want to achieve in your bathroom will help to ensure the finished product successfully reflects the new look you are after, and saves the hassle of realising too late that certain elements in the room have been missed or don’t work together. 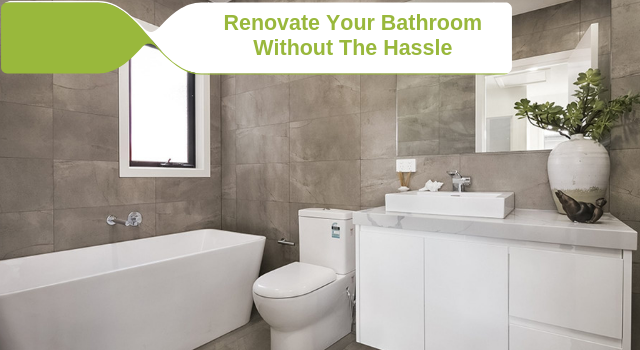 Be mindful that bathroom remodeling has many components, so planning the process around your household (and vice versa) will help everything run as smoothly as possible. If you are employing a professional bathroom renovation company, speak to your Project Manager about the likely timeline you are looking at and how long the key features in your bathroom (sink, shower, toilet etc) will be out of action for. The lighting plan in any bathroom plays a vital role, both aesthetically and functionally. Since existing and outdated lighting should be updated when renovating it is important to create a lighting plan early on, to account for any new electrical work in advance and save you from any headaches later down the track. You should keep your hot water requirements in mind when planning a bathroom renovation. If you are adding in a multi-head shower, larger bathtub, or you find that the capacity of your current hot water system is already insufficient for your existing bathroom, you should consider installing a larger water heater. Taking care of the installation and connection of a new hot water system during the renovation process means that lack of hot water won’t be an issue once the new bathroom is up and running! Storage is an important feature in any bathroom and there are many options that allow you to make the most of the available space. Recessed cabinets and shelving built into the walls of the room allow for storage without taking up any additional space, and a recessed niche in the shower is both a functional and aesthetic alternative to bulky shower head organisers; but both these options should be planned into your bathroom design in advance to save any delays and hassles further into the renovation. Planning for the correct placement of towel racks, mirrors, cabinetry, hooks etc. can save you a lot of hassle later down the track. The experienced design team at Jude’s Bathrooms will take the appropriate height and location for each feature of your new bathroom into consideration in the initial planning stages, to ensure your renovation is a smooth process. 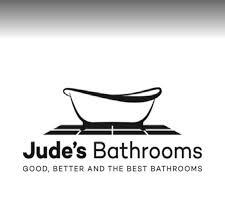 For peace of mind that your bathroom renovation will be planned and completed safely, professionally and hassle-free – call in the experts at Jude’s Bathrooms. We will ensure that the whole renovation process is seamless, from the initial design and planning stage through to handover of the beautiful finished product. 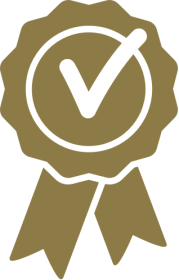 As Melbourne’s bathroom renovation specialists, you can rest assured that Jude’s Bathrooms will always use quality materials, proper tools and a team of qualified tradesmen to complete every project we take on. It is not uncommon for renovations to be filled with unexpected hurdles, but the team at Jude’s Bathrooms are experienced and prepared to handle any obstacles that may arise. You can browse a selection of our beautifully completed bathroom projects on our website. From small bathroom renovations through to the grand and luxurious, our expert team can successfully complete affordable bathroom renovations to suit every taste and budget – so book in an appointment with the design consultants at Jude’s Bathrooms and make your dream a reality today!